Despite looking slightly dated, IGT's Cleopatra slot game delivers on multiple levels. The reason players love the Cleopatra online slot game is because it doesn't try to be something it's not. This spinner is unashamedly retro and that's what makes it great. From the top of the interface to the bottom of the bonus rounds, everything about Cleopatra from IGT has a classic charm that seasoned players will love. Of course, before you commit to stepping back in time for a few turns, you'll need to know more about what you're getting yourself into. 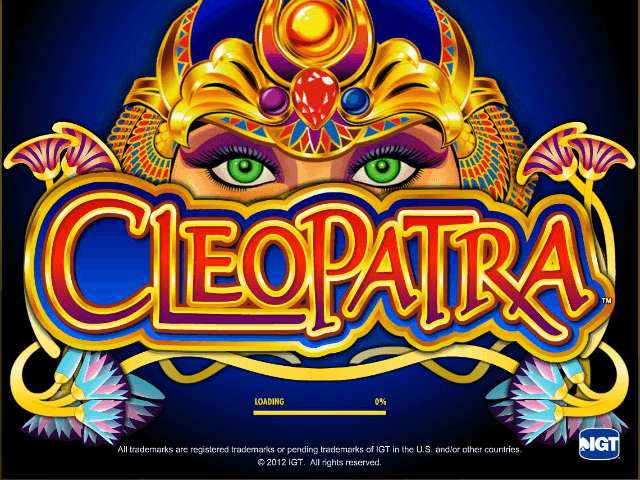 We're here to give you the inside scoop with our Cleopatra slot review. By the time you've read our Cleopatra guide, you'll be ready to roll with this game's five retro reels. Play Cleopatra for Real Money! Cleopatra is clearly one of the industry's more established slots, but that doesn't mean its prizes, bonuses and jackpots are stale. A classic is only a classic because it has something that makes players want to come back for more – and Cleopatra has that certain something. That 'something' is its simplicity. 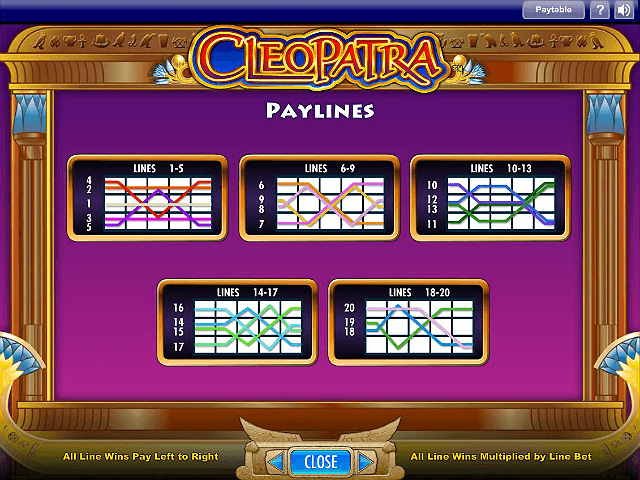 After adjusting your line betting limits from one to 200 and the number of win lines from one to 20, Cleopatra's charm starts to shine through. Although the interface is decked out in Egyptian-themed symbols, it's not overly complex. To ensure this slot doesn't sap the processing power of your desktop or mobile the developers have included a graphics setting. By hitting the spanner icon, you can adjust the quality of the graphics from low through to medium, high and best. Although this might seem a minor feature, it helps to improve the game's overall quality. By ensuring the interface is easy to read and efficient on all devices, IGT's design team has made Cleopatra a slot everyone can play. The highest amount you can bet per spin is 4,000 credits, which means Cleopatra can pay out a whopping 400,000 credits! 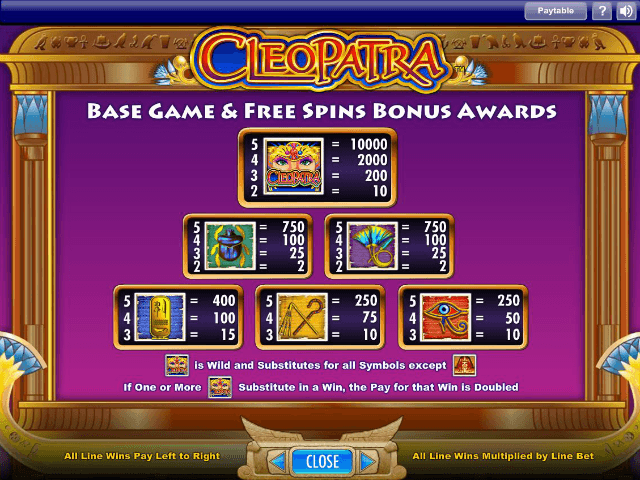 Finally, just to add a last touch of class to Cleopatra's bonuses, you can retrigger your free spins if you roll in three more Pharaohs during the bonus round. This means you could win thousands of credits without having to play any complicated mini games. In short, if you're looking for a quaint-looking online slot game that doesn't try to bamboozle you with a host of unnecessary features, Cleopatra could fit the bill. Share this Cleopatra Review today! 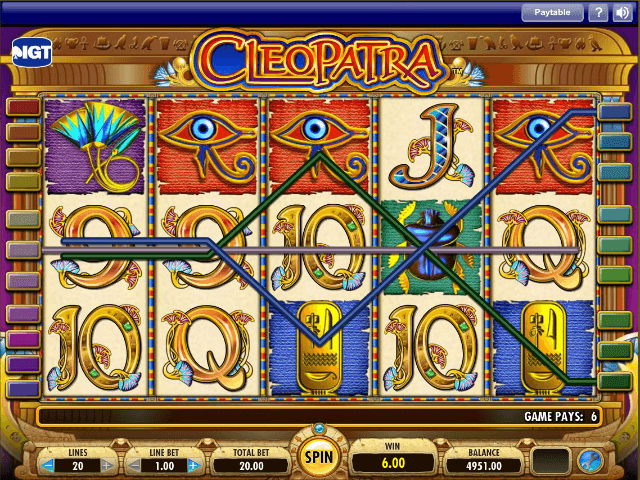 If you like Cleopatra, you'll love these slot titles too!